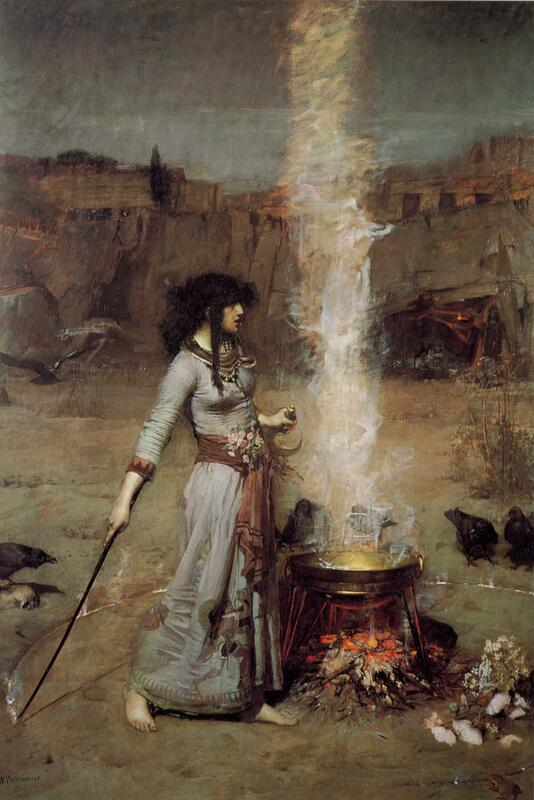 I’ve loved this painting by John William Waterhouse for a long time. The many layers of detail and symbolism, not uncommon in Waterhouse’s work, leave so much to consider and see. The Magic Circle is so open that it can leave you with one idea of what is happening in a viewing, and inspire a very different idea on another. One aspect is certain: Its central figure is a woman that commands arcane power surrounded by the symbols of myth. May she inspire you as well. One of my very favourite paintings too. So evocative.